The genealogy world lens is focused on Salt Lake City right now in preparation for RootsTech 2016. Thousands are converging there for four days of classes, exhibits, keynote presentations, and entertainment starting Wednesday, February 3. 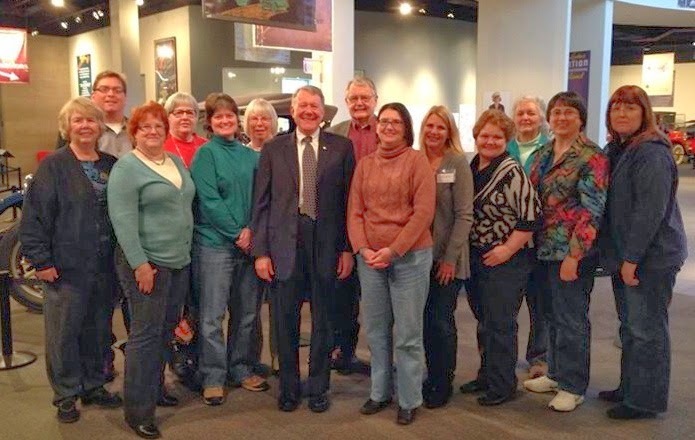 It’s expected to be the largest family history conference in North America, if not the world. And I won’t be there. But I’m not going to sit and feel sorry for myself. I intend to follow along and join in the fun from afar. And if you’re stuck at home like me, so can you. FamilySearch, which produces RootsTech in conjunction with numerous sponsors, is once again providing global live streaming of selected sessions. With the help of social media, you can hear the latest news, read recaps, see photos, watch videos, and even communicate with other participants. 1. 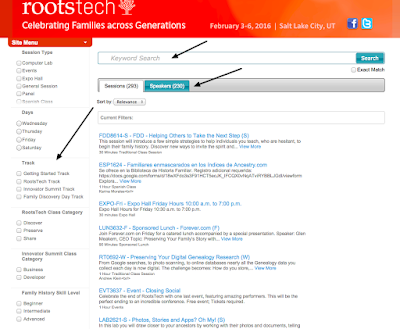 Get familiar with the RootsTech website, www.rootstech.org. Here you can see the full schedule of classes, learn about the keynote speakers, and find lists and links to exhibitors and ambassadors—many of the people who will be reporting live from RootsTech. This is also where you’ll tune in to watch live streaming sessions, which are offered Thursday, Friday, and Saturday. 2. Click on Live Stream Schedule to find the sessions that will be broadcast globally in real time. Note the times of the ones you want to watch—and remember to convert them from Mountain Time (MST) to your local time zone. If there are some you can’t fit into your schedule, don’t despair—the videos will be available afterward, on the same website. Click on 2016 Classes to see class titles and descriptions. Use the left sidebar to filter your choices, or click on the Speakers tab to find sessions offered by particular speakers. Note the code number for the class. 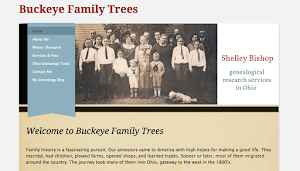 Go back to the homepage, click on Class Syllabus, and find that class by opening up the selections for the appropriate category (this one is in "RootsTech 3000 and above"). You’ll see a PDF of the handout. 4. Get your social media engine revved up to follow the action on Twitter, Facebook, or Google+. Twitter is especially fun because the commentary is so immediate. Some exhibit hall vendors offer special deals that they extend to viewers at home, and you’ll hear about those, too. 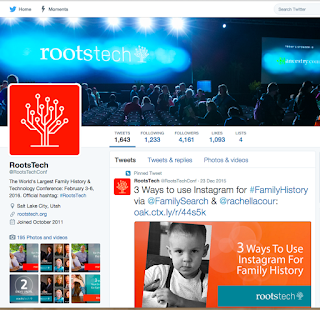 Look for and use the official hashtag, #RootsTech. 5. Follow some of the bloggers listed as Ambassadors to see recaps, photos, and the latest news. They’re all good, so you can’t go wrong. But if you can only pick one, I’d suggest you follow Randy Seaver’s Genea-Musings. In past years, Randy has done compilations of posts from numerous bloggers, saving you some legwork. He’ll give you a good taste for what’s going on. 6. Remember to tune in to watch the live streaming. 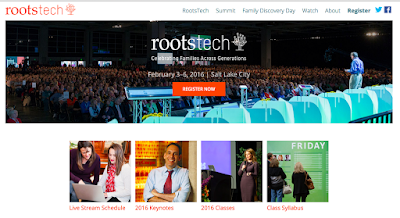 The feed will start automatically on the RootsTech homepage at the scheduled time. You don’t have to register, sign in, or do anything except watch. 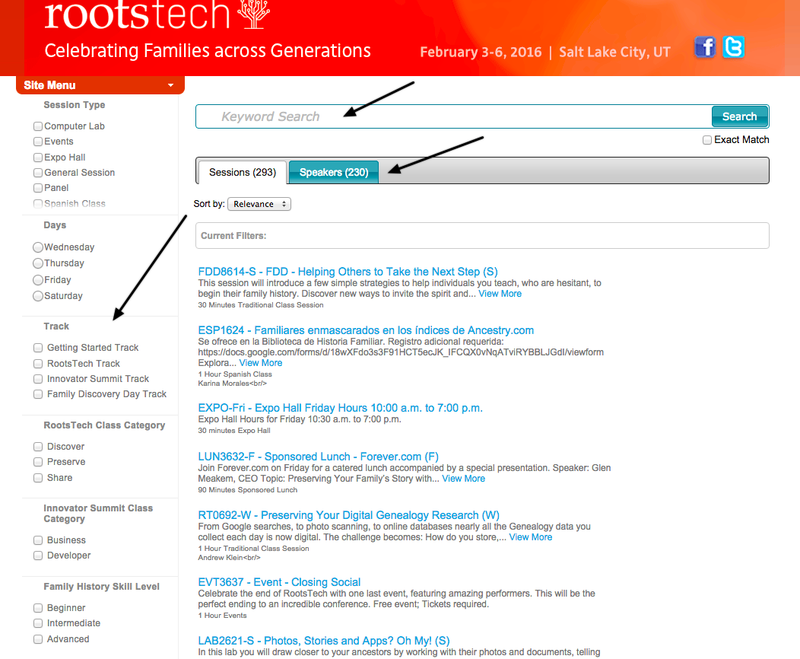 And that’s how you, too, can share in the fun and discovery of RootsTech without leaving home. The kicker? It’s absolutely free. Thank you, FamilySearch! Shelley, I can see we have been thinking along the same lines (except social media doesn't usually come to mind). Great post! I just found 2016 Classes when I followed your link. Thank you very much about the hints. It will make the courses that more interesting!